When I featured the apron that I made from the (re)purposed quilt, I mentioned that my inspiration came from one of the wonderful ladies that heads up our prayer quilt ministry at church. 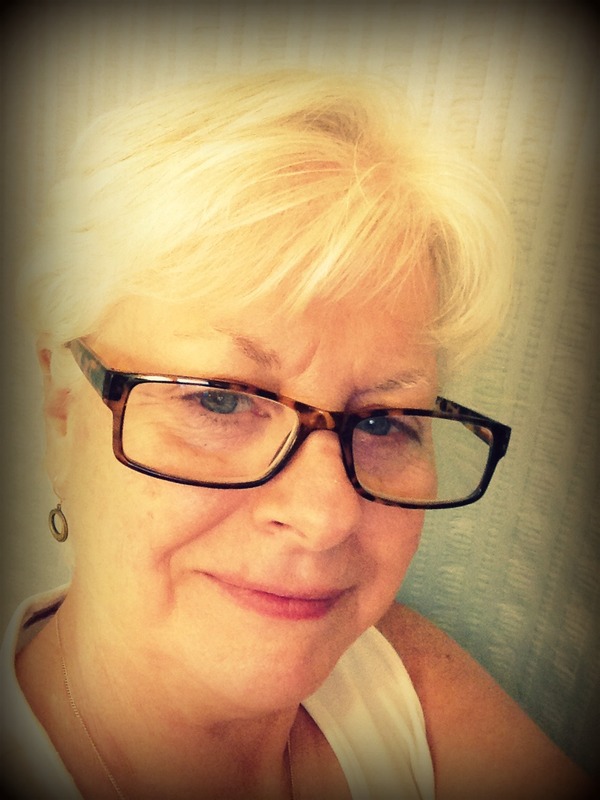 She’s been reading my series of posts on the (re)purposed quilt and suggested that I sew an apron. She is always an inspiration to me and upon her suggestion I knew right away what I wanted to make. 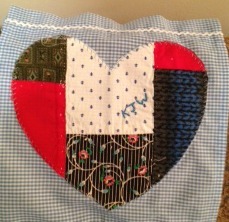 She also made her own (re)purposed apron from a quilt top that her grandmother had made but had never quilted. She told me that her grandmother had pressed all the seams open and had blanket stitched each raw edge! Oh my goodness, can you imagine the work involved in that process! She wasn’t sure why her grandmother had done that; the quilt was made from everyday common fabrics and it wasn’t a special pattern. 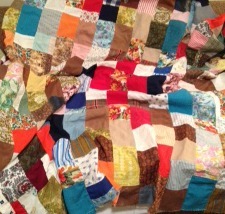 It was just large squares stitched together patchwork style. 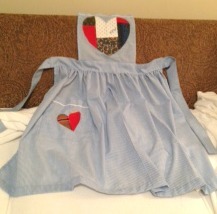 Hers is a bib apron made of gingham, trimmed with ric-rac, and appliqued with hearts on both the bib and the pocket. She hand embroidered her grandmother’s initials on the heart. What a special finishing touch! This weekend she will be attending a family reunion and gifting this beautiful apron to her cousin who is hosting the event. What a precious gift – a keepsake featuring their grandmother’s handiwork and the sweet memories of a cherished loved one. So why do you think her grandmother blanket stitched all the raw edges on the back of the quilt? It’s a mystery to me. I just can’t imagine all the trouble she went through.